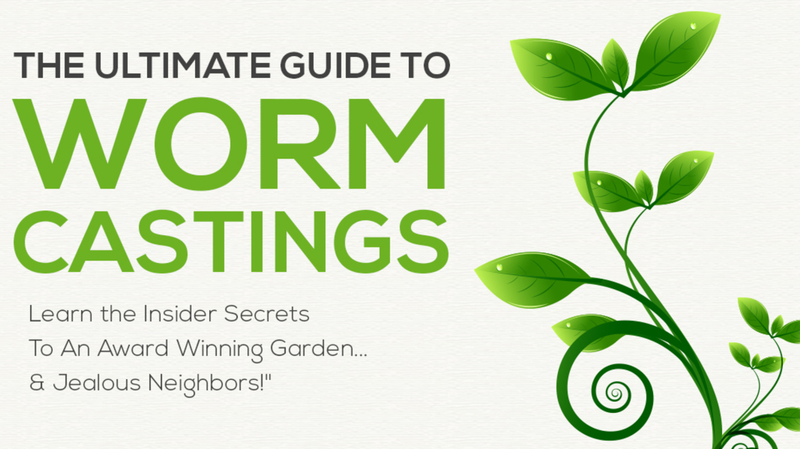 The Web's Best Guide to Worm Castings! Worm castings are the gardener's secret weapon and nature's most perfect plant food wrapped into one. They're a natural soil supplement and the most potent organic fertilizer in the world. 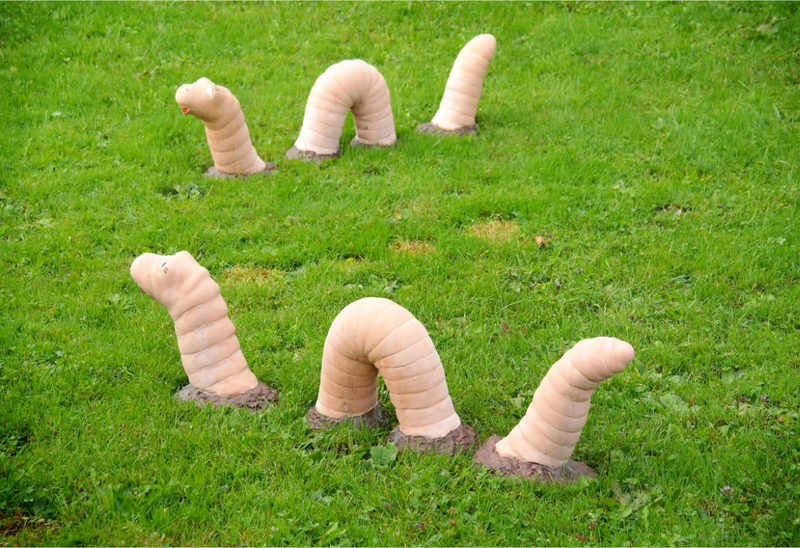 Worm casts are the manure created by earthworms and have become more and more popular with gardeners and farmers in recent years. They organically provide a number of benefits such as plant growth, soil aeration, moisture retention, natural pest resistance, and protection from disease. If plants could talk, there's a good chance they'd be shouting for more worm castings! What Exactly Are Earthworm Castings Anyway? 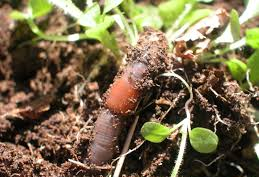 Unlike other types of manure, earthworm casting is almost perfectly designed to promote all kinds of healthy plants to their fullest potential. 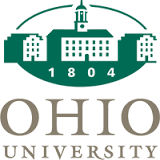 One of their most interesting features is their level of microbial activity. Castings have a unique combination of helpful enzymes and positive bacterial activity. You know how humans benefit from “good bacteria” in their digestive systems? The positive bacteria from the earthworm digestive system makes its way into the castings and helps stimulate healthy growth for plants. 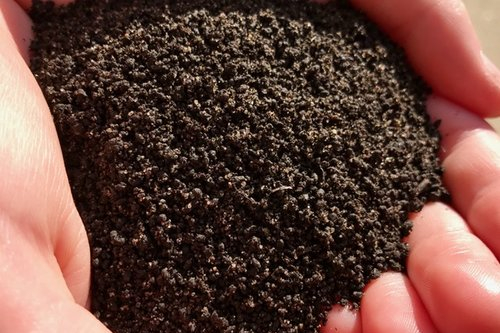 When worms produce castings, organic material is present throughout, making it an ideal supplement for barren soil. Have some tough soil that could use some help? Many of the nutrients that plants need to thrive can be found in large quantities within earthworm castings. Nutrients such as magnesium, calcium, potassium, and phosphorus are practically bursting out of this stuff. You'll also find nitrates in a very potent form within the castings. Analysis of worm castings reveals they are richer in plant nutrients than soil, about 2 times more calcium, 5 times more nitrogen, and 7 times more phosphorus and potassium - K.P. Barley Ph.D. While other types of fertilizer or soil supplement can claim these nutrients, they can't claim that they are immediately available to the roots of the plant. Most of the time when you grow plants, soil that's full of fertilizer can burn the roots and permanently damage the plant. With castings, however, all the healthy nutrients that the plant needs are water-soluble and can be absorbed right away. You also don't have to worry about putting too much casting material into the soil, because it will never burn the roots. In addition to the core nutrients that the plant needs to grow, you'll also find copper, zinc, iron, cobalt, borax, manganese, nitrogen, and carbon. 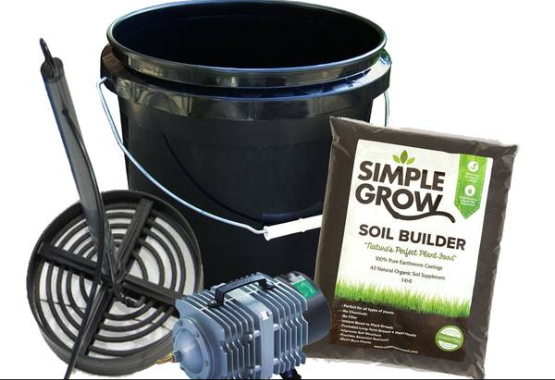 That provides a lot of versatility in nutrients for all different kinds of plants and many different kinds of soil. It's kind of like worm castings fill in whatever nutritional gaps with your organic garden or crops, and makes it so that you can grow amazing plants... no matter what! 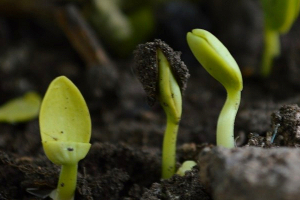 Plants grow faster – Seeds germinate faster in worm castings than in regular soil. In addition to speeding up the germination process, plants will also sprout up faster with worm castings. Soil aeration – Due to the physical structure of the castings, they're extremely difficult to pack down like regular dirt. This means oxygen will be able to make its way through the soil to the roots of your plants, which improves growth. Water retention – When mixed with castings, soils have a better chance of holding onto essential water. This makes it possible to use 50-75% less water in some situations. All-natural – Worm castings are chemical-free, contain no artificial pesticides, and can be used in growing organic produce. No heavy metals – One of the big problems that many gardeners and farmers are dealing with is high concentrations of heavy metals in the soil and in fertilizers. Worms actually have the ability to absorb heavy metals like copper, lead, and cadmium from soil. This means that by the time they produce castings, they're heavy metal free. This reduces the likelihood that those metals will make it into food sources grown in worm castings. Burn-proof – One common problem with a lot of fertilizers is that they are too high in nitrogen. This makes it easy to burn the roots of your plants if you put too much on. Castings will never burn your plants. 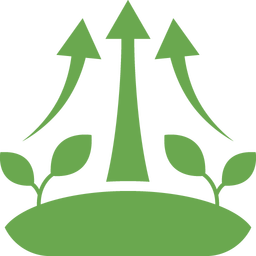 Natural pesticide – You'll get natural pest-resistance with plants grown in castings. This allows you to save money on pesticides while also avoiding the need to spray chemicals on your crops. 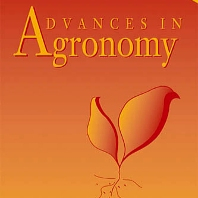 Increased yield – A study by Nature Research showed that crops grown in worm castings produced 25% more yield on average. That's a lot of extra crops! Need Some Castings For Your Garden? Worm castings are kind of like the “Swiss Army Knife” of plant food. Although they are fantastic in a garden, they're so versatile and flexible that they've quickly worked their way into many different uses. Gardeners have known the benefits of having worms in the soil for thousands of years. While some soils naturally are chock full of worms on their own, other areas don't have as many. Worm castings are ideal for gardeners because of the fertilizing effects that they can provide, without the potentially harmful chemicals found in traditional fertilizers. This makes them very popular in organic gardens, in particular. Another big benefit that draws organic gardeners to castings is that they can avoid pesticides. Worm castings have built-in pest-resistant properties due to an oily material that is placed on the castings by the worm's digestive tract. When seeds are planted in soil rich in castings, this pest-resistance is then transferred to the plant. 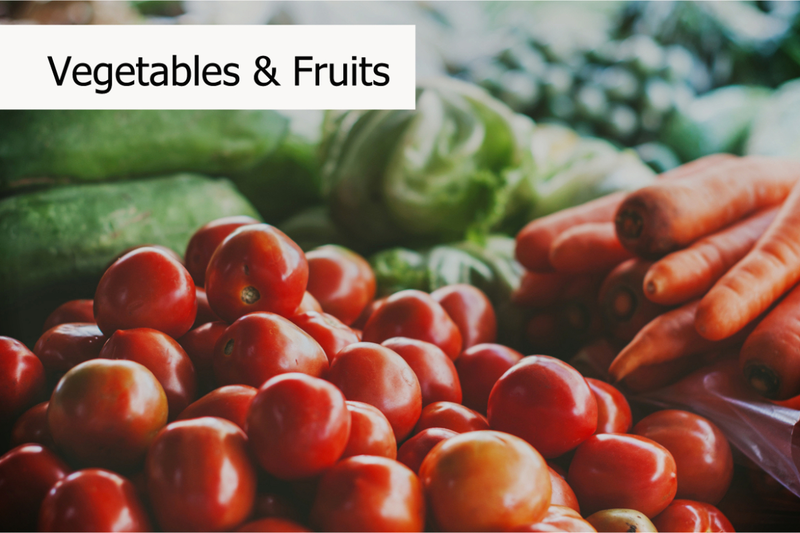 If there is one thing organic gardeners hate, it's pesticides, and earthworm castings make it possible to have bug-free veggies and fruits. For homeowners with house plants, worm castings are perfect! 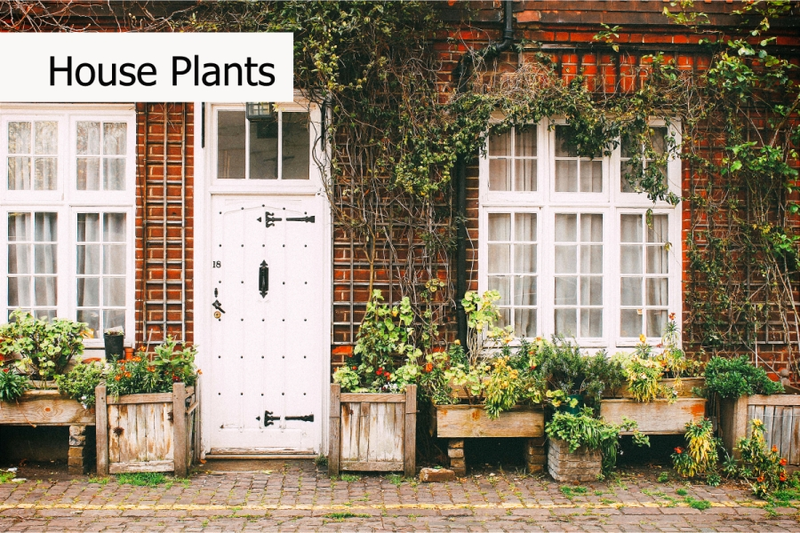 In many smaller house plants, as little as a teaspoon of castings is enough to boost plant growth. This makes them ideal for raised beds, flowers, and any other plants around the house. For this scale, a bag of castings can get you through the season with flying colors. Looking for chemical-free pest protection all season? Sprinkle some worm castings around your plant every few weeks and enjoy all your plants...bug free! 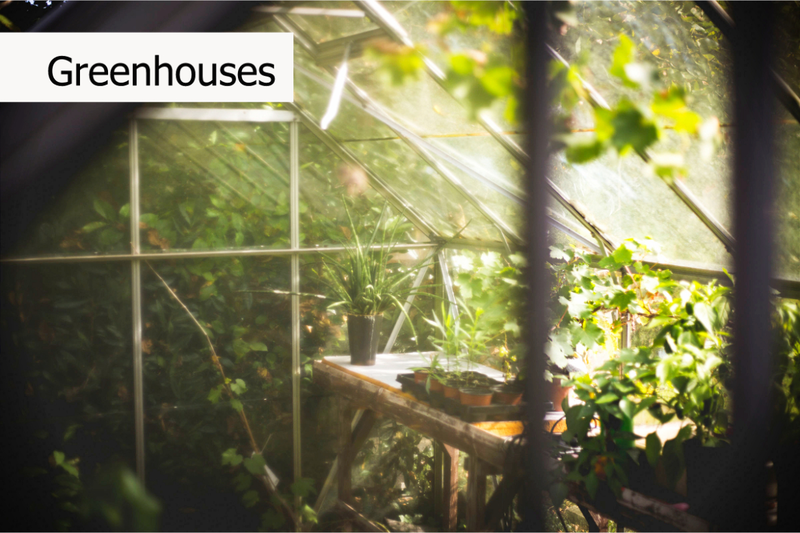 Greenhouses make it possible for gardeners and farmers to grow plants in many different climates and seasons. While they give you a lot of flexibility in the growing process, they present their own set of challenges. One of the most common problems when growing plants in a greenhouse is disease. Certain pathogens thrive on indoor plants and growers often turn to chemicals to eliminate them. If you're trying to grow plants in an organic fashion, chemicals aren't really an option though. For this situation, worm castings provide the ideal solution. Whether you have 1 plant or 1,000 to take care of, castings are perfect for your application. Their variety of nutrients and minerals, water retention and ease of use make them the ideal solution for almost every situation. Are you embarrassed by your lawn when you drive through the neighborhood? Does it have bare spots or patches of weeds dispersed throughout? If your yard isn't everything you want it to be, worm castings can help significantly. The nice thing about this solution is that you can utilize the castings regardless of what stage your yard is in. If you're starting a new yard for the first time, you can really get the worm castings mixed in with the soil and the grass seed. At this stage, it usually only takes about 10 lbs of castings for every 100 square feet of grass that you're planting. If your yard is already established and you just can't stand to look at it anymore, you can improve it with castings. In this situation, top dressing the yard with worm castings can be done at a rate of about 5 lbs for every 100 square feet. By feeding the yard with castings every so often, you won't believe the transformation that takes place. You won't even recognize that lush, thick grass that's covering your yard. You might wonder if you've accidentally wandered over into your neighbor's yard at some point... good news, it's your lawn now! Farmers and large-scale agricultural operations are turning to worm castings in droves. They love the combination of a fertilizing product and pesticide in one, as well as the increased yields that castings can provide. In addition to increasing the crop yields, farmers are also able to use less water due to worm castings ability to absorb and hold water until crops need it. On a large scale such as this, worm castings are shipped by the ton or by the truckload to fill the needs of the grower. 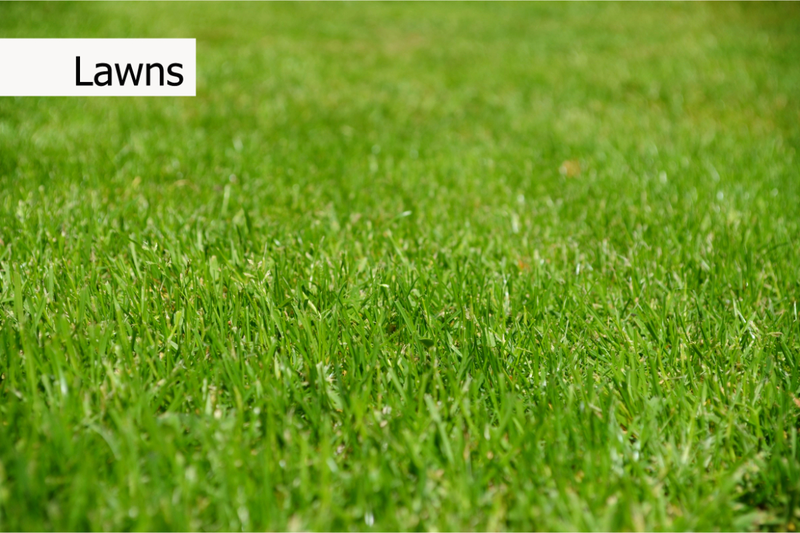 While it may appear to be more expensive by the ton than other fertilizers, it is often less expensive overall. 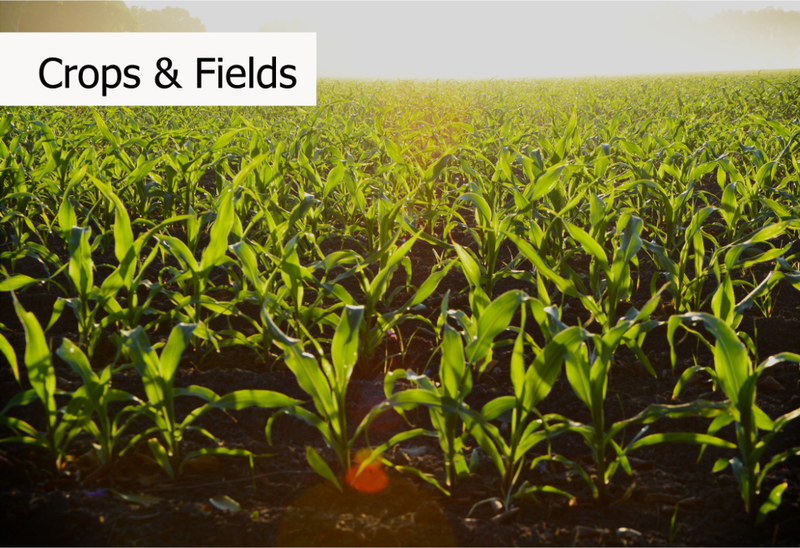 The combination of a fertilizer, natural pesticide, and yield-increasing capabilities tilts the scales in favor of worm castings in most situations. Ready To Get Some Castings? Depending on what you’re trying to accomplish, there are different ways to apply worm castings. Here are some different options you can try when applying pure earthworm castings. 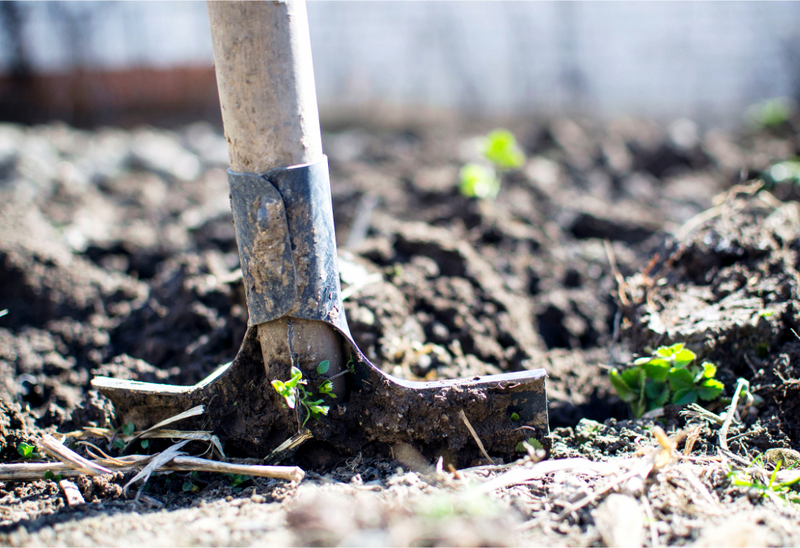 If you’re starting from scratch, one of the best ways to apply worm castings is to mix it in with the soil. This works great if you’re planting in a raised bed or some kind of a planter where you’re filling the whole thing with soil anyway. For this, using a ratio of 1 part castings to 2 to 4 parts soil works best. This method involves using a dry spreader to spread the castings out on top of the area where you’re planting. This can be done by hand, with a hand spreader, or a large dry fertilizer spreader. This works well for yards, gardens, and fields. Worm castings tea is a liquid mixture that you can make with water, molasses and worm castings. Just to be clear, you wouldn’t want to drink this tea! You can see what’s involved in making worm castings tea here. Once you’ve made the tea, you simply spray it on the ground, plants, or both. This allows you to spread the castings a lot farther and it can also form a protective barrier on the exterior of your plants. This discourages plant diseases and pests from getting on the plants. We offer an easy-to-use worm castings tea kit that gives you everything you need to create the perfect worm castings tea. Within 24 hours, you’ll have worm castings tea that you can spray on any plant and get great results. Click below to see our tea kit. 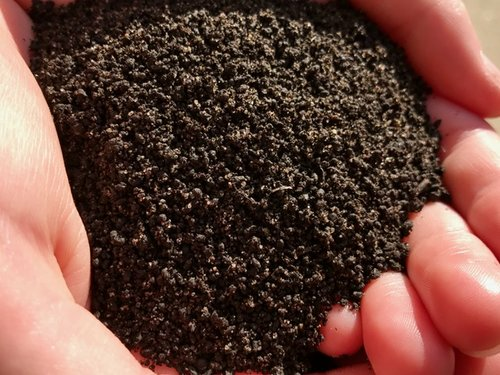 Many different products are called worm castings, but that doesn't mean all of them are the same. Depending on the process used to create them, the purity and potency can vary. What exactly is it that makes one type of worm casting better than another? One of the most important factors in the quality of the casting is the type of worm that was used to create it. What's that? You thought a worm was just a worm? Well...not exactly. While most worms are similar, there are some key differences between them when it comes to the castings that they are used to produce. Red wiggler worms are often used to create compost. This is also referred to as vermicompost. The drawback to this method of production is the worms often consume a lot of junk. They may be eating table scraps, trash, yard waste with pesticides on it, and anything else you can imagine. 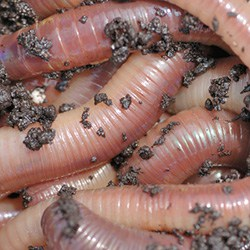 Nightcrawler Earthworms come in a few different varieties and prefer to live in the soil. They burrow down into the ground and prefer to eat organic matter that is found in the soil (not on top). When producing worm castings with earthworms, a food source is often mixed into a bedding comprised of rich, dark soil. The earthworms move around throughout the soil, consuming the food within and leaving behind pure earthworm castings. 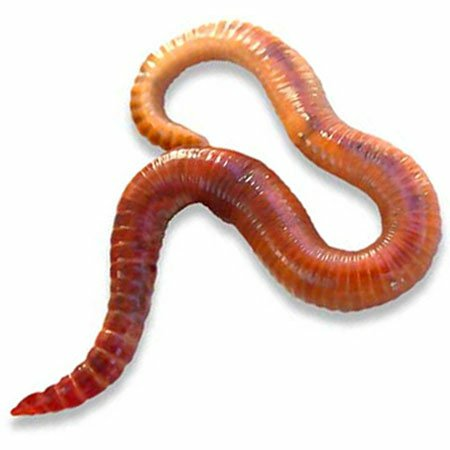 For most uses, earthworm castings are preferable to compost produced by red wiggler worms, because of the manner in which they consume food and the habitat in which they live. At Simple Grow, we actually use a special variety of African Nightcrawler, as they have proven to produce the highest quality casting. While the right type of worm is important for producing the quantity and style of castings, the food source is critical in creating a 100% pure, organic worm casting without any fillers, additives, or contaminants. Another factor that plays a role in the quality of the castings produced is the food source consumed by the worms. Even among true earthworm casting producers there are variations in diet, that can have an impact on the end product. Typically, earthworms are put into a bedding that is mixed with a food source. The quality of the dirt plays a big part in the outcome of the castings. By using a rich top soil, worms are often given a better balance of nutrients and minerals to consume. They also like to move around in certain types of soil better than others, which improves the end product. In addition to the soil itself, any food that is added to the soil will also play a role. Some producers use a blend of grains, while others mix in compost material to provide sustenance for the worms. 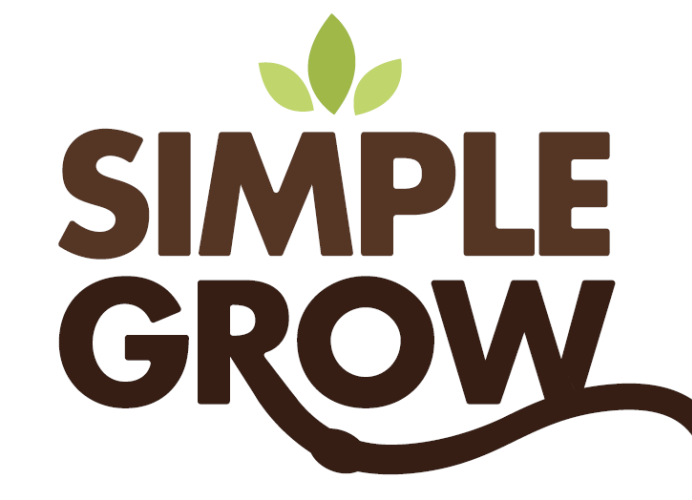 The best approach (which is why we use it here at Simple Grow) is to give the worms a controlled diet of organic grains and protein, along with a high-quality, screened dirt. This creates the perfect environment for worms to thrive, and thereby produce a better casting in the end. The third factor that helps determine the quality of the worm castings it the harvesting method used. Even if you put the worms in the perfect dirt and feed them a fantastic diet, you could still be left with a less-than-perfect product. The harvesting method used to collect the castings is critical. Once it's time to harvest the castings, they have to be screened out from the contents of their container. A series of screens may be used to remove the worms, cocoons, and dirt from the product. By utilizing the proper screening system, you're left with nothing but the purest form of earthworm castings. Some methods do not produce 100% pure earthworm casts, but instead a mixture of dirt, compost, and some casts. A premium casting product will be nothing but high-quality castings in the bag. When examining a worm castings product, the purity is important so that you get the most bang for your buck. If you're purchasing worm castings, you don't want a bag that has 80% worm castings and 20% rocks and dirt. In some cases, the ratio of castings to refuse is even worse than that. While there may not necessarily be anything wrong with having extra dirt in the castings, it reduces the amount of castings that you're getting overall. When you can go with a brand that is pure worm castings, there's no reason to settle for something less. 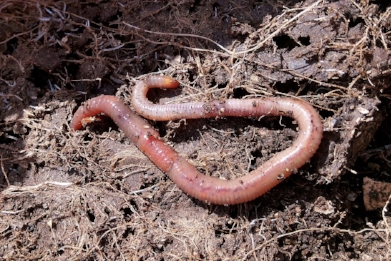 The methods for producing earthworm castings vary, depending on the producer. Here are a few different strategies that are used. Composting Bins...You can call them "Garbage Worms"
One of the more common methods of producing castings is with a composting bin. With this strategy, composting materials are placed in a bin. The type of bin can vary, depending on the space available and level of investment. Often, large barrels are used, while others use wooden or metal rectangular bins. Composting materials such as table scraps, leaves, grass clippings, garden waste, mulch, and other items are placed into the bin. From there, composting worms such as red wigglers are also placed into the mixture within the bin. After a certain amount of time, the mixture is then removed from the bins and used as compost. 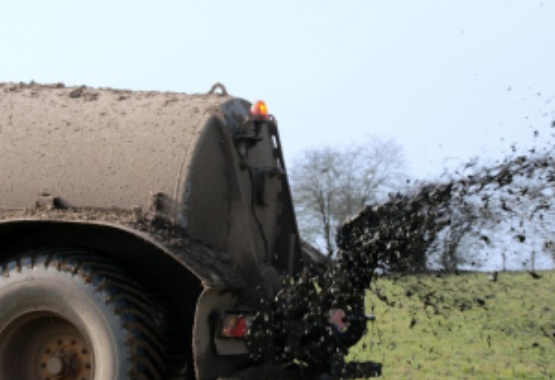 In some cases, the worms are filtered out using screens and only the compost remains. Depending on the situation, there could be a lot of inconsistency in the final product because of the variation of the items put in initially. That means that you might have some materials that are fully broken down and some that aren't. 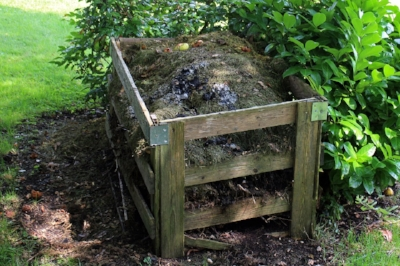 If the compost isn't thoroughly screened, you may also find some rocks, hard clumps of dirt, and other things that you don't really want in the final product. A better method of producing worm castings involves utilizing buckets or large boxes. To make castings on a smaller scale, buckets are often utilized, while larger scale operations use rectangular boxes. For this method of producing castings, real earthworms are often utilized instead of red wigglers. Regardless of the container, the contents are filled with the bedding for the worms (the dirt) and the food source. Since worms will eat a lot of different things, this food source can vary from one operation to the next. In some cases, the food source will even vary from one batch to the next because of availability issues. After a period of time, the worms will consume the organic matter and most of the bedding and produce large amounts of castings. At that point, the producer then takes the product and packages it up. This results in a mixture of materials that is not pure earthworm castings, although it does have them in the product. The downside of this approach is that you don't know if you're getting 80%, 50% or less in castings. The rest could just be dirt, rocks, leftover food for the worms, and worm cocoons. The third and best method of producing castings is similar to the previous method, but with a couple important factors (which is why Simple Grow chooses to use Pure Worm Castings). The two key differences are in the consistency of the food source and timing, as well as the way that the castings are filtered out. In the beginning, the earthworms are placed into containers along with the bedding and the food source. The food source is controlled and it is the same each time. This helps produce a consistent product, in which the nutrients and minerals are identical. After a specific period of time, typically two weeks per cycle, the contents of the container are then run through a series of filters or screens. These screens remove the various components of the mixture and you're left with nothing but pure worm castings. The worms, worm cocoons and anything else are taken out. This produces the highest-quality type of castings available and gives gardeners exactly what they need, with nothing else diluting it. If your goal is to germinate seeds quickly, then worm castings can make a substantial difference. Depending on what plant you're trying to germinate, mixing some worm castings with sand may be the ideal solution. It creates an environment that is conducive to seeds sprouting. Typically, you'll want to use a ratio of about one-fourth or one-third worm castings with the remainder being sand. This will allow your plants to sprout for somewhere between a few weeks and three months, before you move them to another medium. In some cases, you're trying to work with truly barren, ugly soil. If your soil is lacking any kind of organic content or nutrients, mixing in some worm castings can make an unbelievable difference. Pour a layer of worm castings on top and then do your best to mix it in with the soil. Put some water on the soil and let it soak in. The worm castings will absorb much of it, and the dirt should now avoid being packed down. 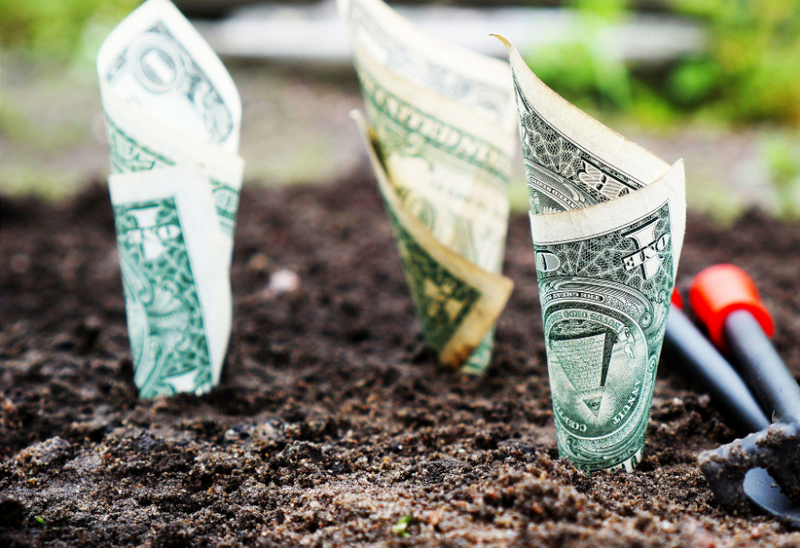 In a short period of time, you'll be surprised just how rich and fertile the soil is from that point forward. If you are actively planting, fertilizing your plants with worm castings will help tremendously. If you haven't yet planted, spread the castings all over the soil and mix them in. Then plant the seeds. If you've already planted the plants and they're growing, you can sprinkle them around the base of the plants and dig them into the soil as much as possible. The water-soluble nutrients in the castings will be absorbed by the plants rapidly and you'll notice a difference shortly. Worm castings truly are a plant “super food.” The more you learn about earthworm castings, the more you start to realize just how amazing they are. They're simple to use, produce fantastic results, and give you the most “bang for your buck.” With that being said, not all worm casting products are the same. Before you decide to try castings out for yourself, it's important to make sure you know what you're getting. 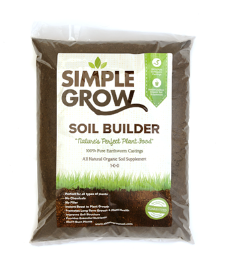 Simple Grow Soil Builder is 100% pure earthworm castings and is not just another soil supplement. 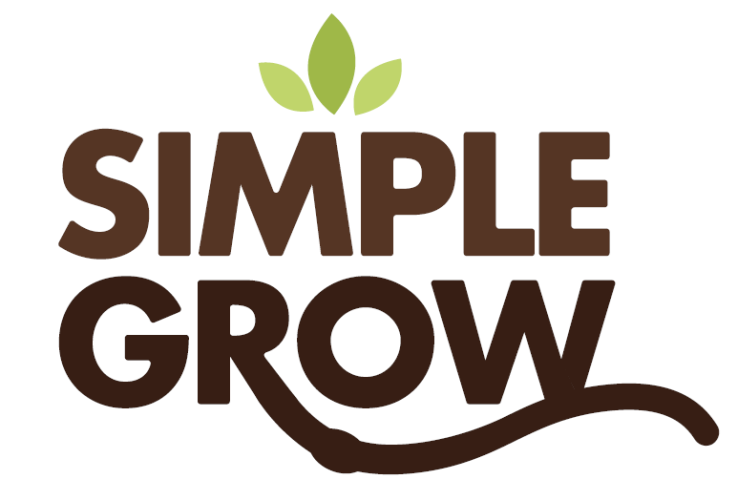 Click here to find out what makes Simple Grow the best, and how you can use it to take your plants to the next level. It really is just that simple.